The ideal and concept of H.B.R.C. 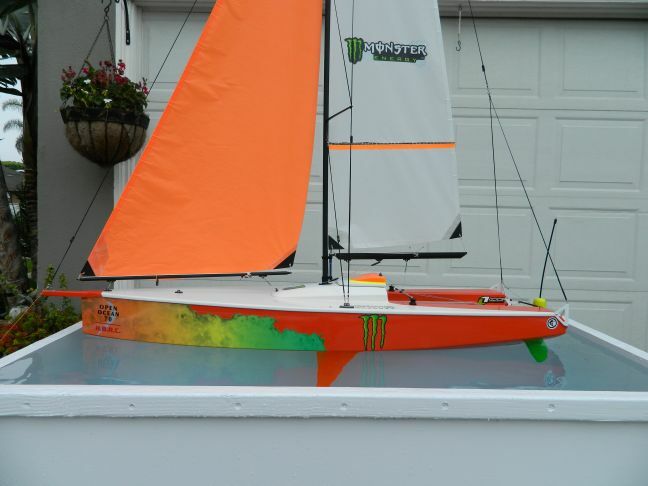 Sailboats came from a conversation with a freind who had bought a RC sailboat online, It was the typical old time pond racer type boat most sailors are using today. He said his favorite place to sail was Oceanside Harbour, he went on to say the boat was fun but, it was too narrow, it submarined with wave action, salt water intrusion was a real problem with the radio and servos, it was kinda slow. he said if someone made a hull that was wider at the stearn with a plaining type hull that did'nt plow though the water, more sail area for speed, it would be a lot better sailing boat. 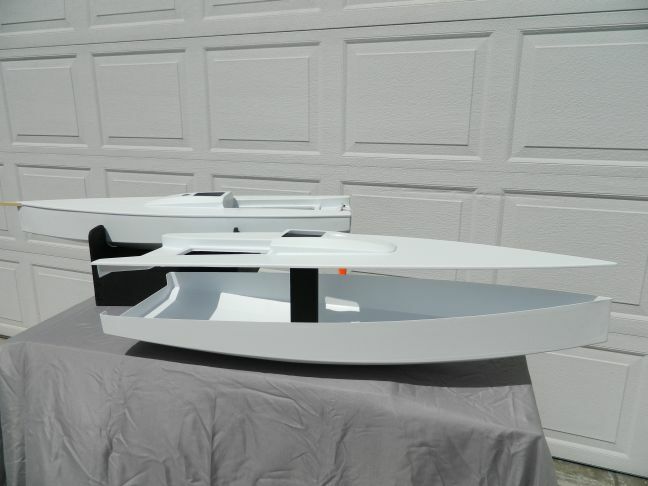 I replyed, your talking about a VO 70 boat, they are sailing around the world right now, the formula one of sail boats ! This was the start of H.B.R.C. 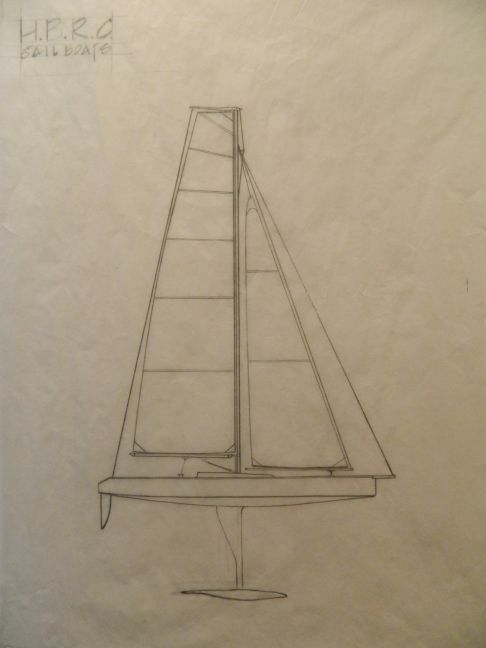 SAILBOATS, model no. 1, shaped by hand, it was made by gluing 2 x 4 's together then shaping the blank like a surfboard using plainers, grinders, files and bondo. in my Huntington Beach garage. 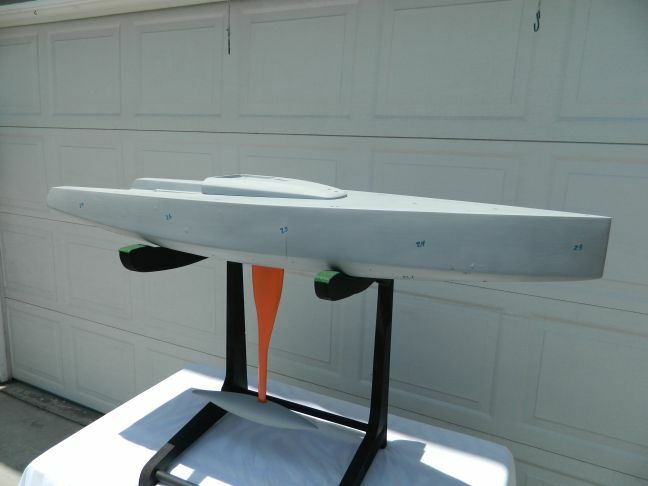 The shape inspired by VO 70 boats. This photo shows the finished molds, precise and symetrical with crisp lines, They are mounted on wood bucks ready to go to the thermo formers. I used InterTrade Ind. 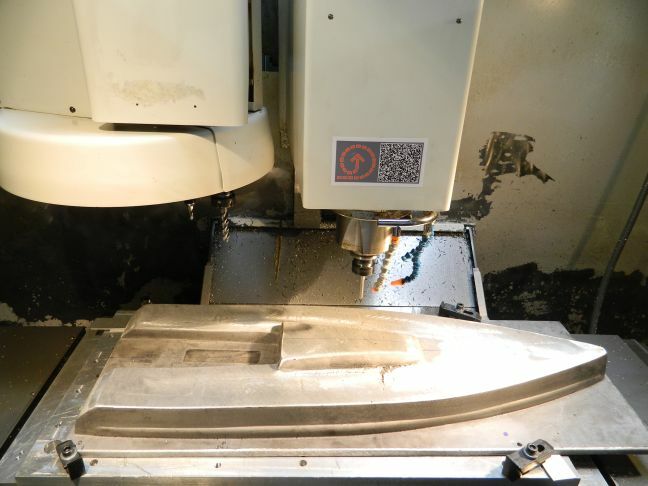 for the vacumm forming, the tooling is preped for vacumm forming by drilling small holes aroud the perimeters, under vacumm the hot styrene plastic sheets are drawn into the details of the mold. 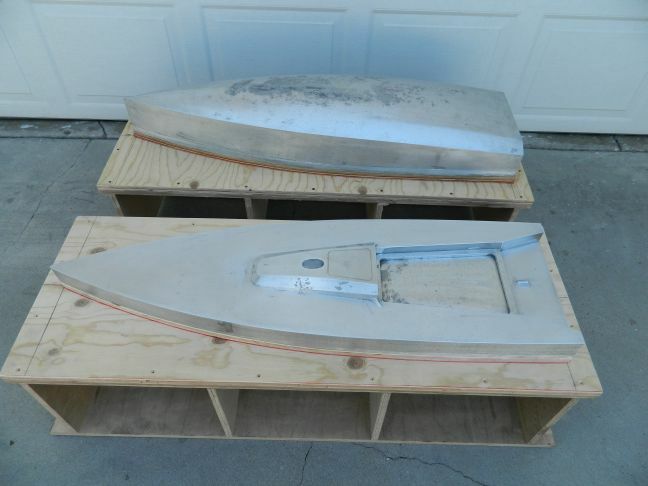 This photo shows the finished product from the vacumm former the deck and hull parts ready for assembly. 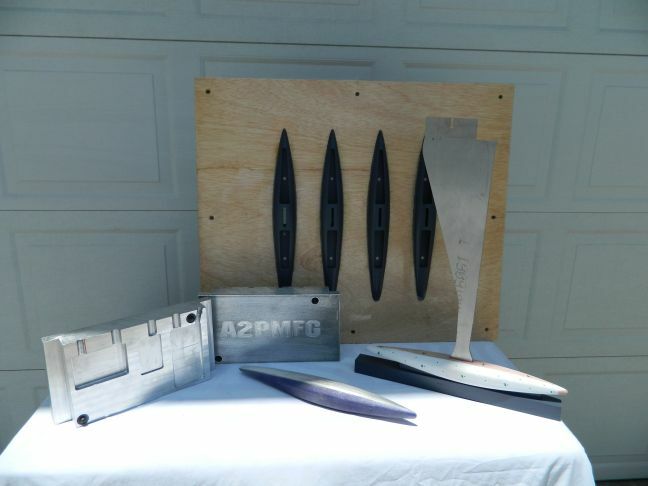 The same process was used to make the keel bulbs, modeled, machined, molded. 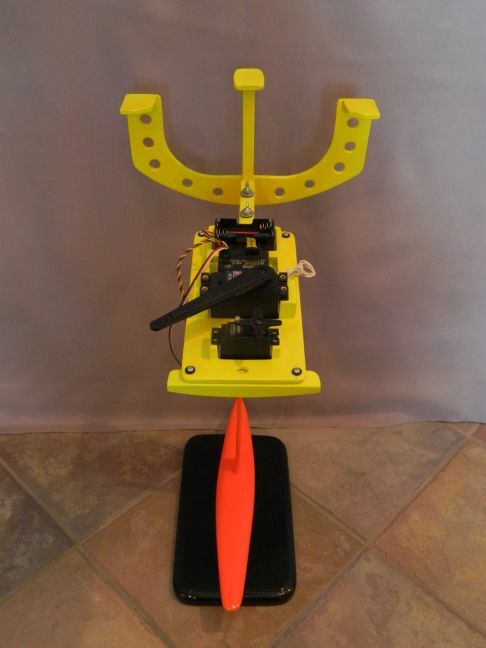 the keel bulbs have internal pockets formed in the bottom, The pockets allow lead shot to be added to the bulbs to acheve a precise weight consistently. 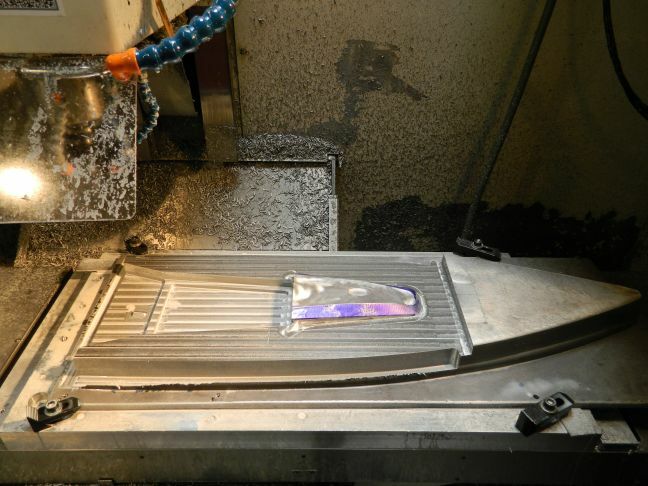 The keel is a two part system, the keel itself is 1/4 " aluminum plate waterjet cut to shape then faired. This photo shows the heart of the boat, the main bulkhead assembly, all the energy of the mast / sails, the keel and controls servos is transfered though this structure. with it's bulkhead, keel trunk, mast post, radio board made into this one peice modular design the boat becomes strong and very ridgit, there are two more bulkheads fore and aft of the radio access opening . All of this makes for a strong, light weight, tough boat ocean ready. First boats coming off line were given to some top Calif. sailors / riggors / sail makers for sea trials, boats were tank tested for balance, keel length and weight. Input from the sailors resulted in positive changes, right away they wanted more sail area,the boats could handel more sail power, keel shape and weight changes were made, rudder shape. The results ... H.B.R.C. Sailboats Tough, Fast, Ocean Going sailboats that sail and look like the real VO 70 boats. These are not your pops pond boats!